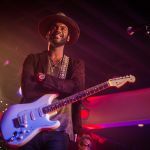 NEW SEASON FEATURES HOZIER, alt-J, MARINA AND THE DIAMONDS, AND GARY CLARK JR.
New York, NY (March 24, 2016)—Kicking off April 2016, the tenth season of Live from the Artists Den premieres nationwide on public television. 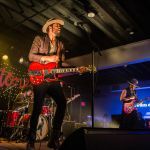 The critically acclaimed concert series connects fans with a stunning roster of breaking artists, performing in unique and historic venues throughout the United States. 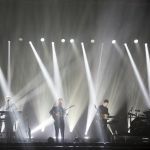 The new season features high-definition episodes from Grammy-nominated singer-songwriter Hozier at the historic Theater at Ace Hotel in Los Angeles, electro-pop performer Marina And The Diamonds, chart-topping alternative rock band alt-J, and Grammy-winning rock, soul and blues musician Gary Clark Jr. Together, these four artists have sold over 5 million albums worldwide, and compiled more than 250 million YouTube views, 3 million Facebook fans, and 3 million Twitter followers. Live from the Artists Den Season 10 premieres on THIRTEEN in New York starting Saturday, April 9th at 11:00 PM, Sunday, April 10th at 8:00 PM on KCAL in Los Angeles, and on public television stations nationwide throughout April (please check local listings at artistsden.com). This is a particularly special season for the Artists Den as it celebrates its 10th anniversary as a series. 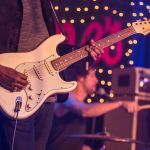 Live from the Artists Den has featured the best in breaking artists from around the world, making extraordinary contributions in music today. To name a few luminaries who have appeared on the series: Adele currently has the best selling album in the world, rock band Alabama Shakes won four Grammys this year, including Best Rock Song, Zac Brown Band has released their third consecutive number one album, and Ed Sheeran’s hit “Thinking Out Loud” is the first single to ever spend a full year inside the UK top 40. Season 10 continues the tradition of showcasing ground-breaking artists in places they wouldn’t typically find themselves. 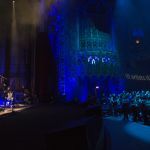 For Hozier, the opportunity to play at the Theatre at Ace Hotel in Downtown Los Angeles, gave him a unique palette to reimagine his live set in a more intimate, spiritual setting away from the festival stages he is used to. “Theaters kind of tend to take with them a lot of what’s gone on in them in the last hundred years, and you can kind of feel a little bit of that here,” he says. 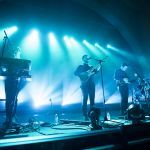 For alt-J, playing in a room like the Hollywood American Legion, which was more glamorous than they expected, turned out to be an exciting performance in a more intimate setting. “There’s a different kind of rapport with the crowd. You can feel that it’s more personal,” says keyboardist Gus Unger-Hamilton. Artists Den secret concerts are presented by Chase Sapphire Preferred®, and VIP experiences are available through a special sweepstakes for Chase Sapphire® cardmembers at artistsden.com/chasesapphire. 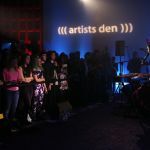 Live from the Artists Den is a production of Artists Den Entertainment, presented by WLIW LLC in association with WNET, and is distributed nationally by American Public Television. 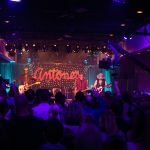 To watch past episode clips or learn more, go to artistsden.com. 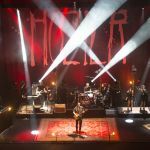 Grammy nominated musician Hozier brings his soulful blues, rock, and folk sounds to the historic stage at The Theater at Ace Hotel in downtown Los Angeles. 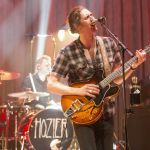 Hozier, along with six accompanying band members, offers a poignant 15-song set to a crowd of 1,000 invited guests. He performs mostly songs off his self-titled album, as well as a rhythmic, stripped down reimagining of Paul McCartney’s “Blackbird.” Hozier punctuates the performance with an evocative rendition of his hit single “Take Me To Church” before unfurling a three-song encore that includes emotional standout “Cherry Wine. 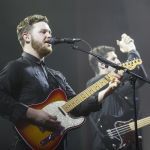 U.K. rockers alt-J perform an intense, moody set at Los Angeles’s Hollywood American Legion. 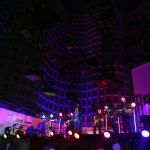 The group offered up 18 songs to a crowd of 550 invited guests, veering between its eclectic new album, This Is All Yours, and its 2012 debut, An Awesome Wave. 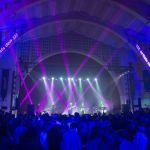 The surging, boisterous set included hit singles “Hunger of the Pine,” “Fitzpleasure” and “Left Hand Free,” as well as a re-imagined cover of Bill Withers’ “Lovely Day.” The Hollywood American Legion, with its grand vaulted ceilings, made for a historic and dramatic setting that lent itself well to alt-J’s edgy, dynamic rock songs. 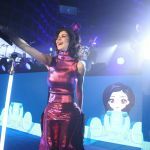 Marina Diamandis, known as her stage name Marina And The Diamonds, puts on an eclectic performance of 15 songs with a two-song encore in the famous Great Hall in the New York Hall of Science in Corona, NY. 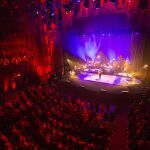 Just 350 fans got to see this intimate performance where she performed a selection of songs from her new album FROOT as well as such hits as “How to be a Heartbreaker,” “Primadonna,” “Hollywood” and more. The Artists Den is a critically acclaimed television and digital music series celebrating its 10th television anniversary. The series is best known for presenting secret concerts by extraordinary breaking artists in non-traditional, often historic settings for the TV show Live from the Artists Den. Live from the Artists Den is one of the most popular series on national public television, broadcasting in 270 public television markets in the United States, and internationally in the United Kingdom, Japan, Germany, Australia, New Zealand, Canada, Israel, and Latin America. As New York’s flagship public media provider and the parent company of THIRTEEN and WLIW21 and operator of NJTV, WNET brings quality arts, education and public affairs programming to more than 5 million viewers each week. WNET produces and presents such acclaimed PBS series as Nature, Great Performances, American Masters, PBS NewsHour Weekend, Charlie Rose and a range of documentaries, children’s programs, and local news and cultural offerings available on air and online. Pioneers in educational programming, WNET has created such groundbreaking series as Get the Math, Oh Noah! and Cyberchase and provides tools for educators that bring compelling content to life in the classroom and at home. WNET highlights the tri-state’s unique culture and diverse communities through NYC-ARTS, Reel 13, NJTV News with Mary Alice Williams and MetroFocus, the multi- platform news magazine focusing on the New York region. WNET is also a leader in connecting with viewers on emerging platforms, including the THIRTEEN Explore App where users can stream PBS content for free. American Public Television (APT) has been the leading syndicator of high-quality, top-rated programming to the nation’s public television stations since 1961. For more than 10 years, APT has annually distributed one-third or more of the top 100 highest-rated public television titles in the U.S. Among its 250 new program titles per year, APT programs include prominent documentaries, news and current affairs programs, dramas, how-to programs, children’s series and classic movies. AfroPoP, America’s Test Kitchen From Cook’s Illustrated, Rick Steves’ Europe, Live from the Artists Den, Front and Center, Doc Martin, Nightly Business Report, Midsomer Murders, Vera, NHK Newsline, Lidia’s Kitchen, Globe Trekker, Simply Ming, and P. Allen Smith’s Garden Home join numerous documentaries and performance programs popular with public television viewers. APT licenses programs internationally through its APT Worldwide service. Now in its 11th year, Create® TV — featuring the best of public television’s lifestyle programming — is distributed by American Public Television. APT also distributes WORLD™, public television’s premier news, science and documentary channel. To find out more about APT’s programs and services, visit APTonline.org.